Some writers create inspirational playlists featuring the best of modern music. Me? I’m listening to drain sounds as I write the next scene in my WIP. I recorded this clip while researching in New York. You can see photos from the trip here: https://kristituckaustin.com/potters-field. Check out “The World’s 20 Most Amazing Tunnels” by Terrell Johnson. This list has scope–from leaves to concrete, natural wonders to engineering marvels, biblical to contemporary–and lots of pretty pictures. Spoiler: #4 is the New York East Side Access Project! Thank you to Sarah Fite, writer extraordinaire, for sharing the article. Know a great article about the underground? Please send it my way. 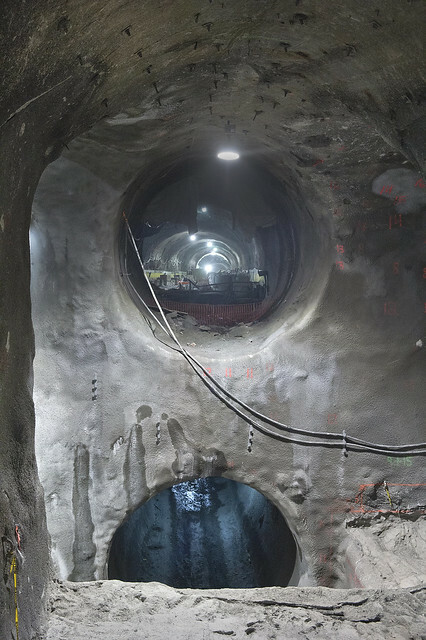 You can see more on the New York East Side Access Project at the article I shared earlier this month.